I know lots of people who kind of want to make the change to eating whole wheat and whole grains but are afraid it will taste bad, or worse, that their families won’t eat anything. I confess, there are whole wheat products out there that taste worse than cardboard! Which is why I’m going to share my list of brands and products that really do taste good and that, at the very least, MY family will eat. My favorite brands are Bionaturae and Delallo. I have tasted some whole wheat pastas that are almost inedible, but these taste awesome and my kids love them. Unfortunately, I still can’t get some of our favorite shapes (ring noodles, please! ), but that will come over time the more we all buy. If you want a quick and easy homemade option, try my Speatzle from Scratch recipe. It will be cooked and eaten before you could even get to a store and back. If you are lucky to have a supermarket or bakery that makes fresh whole grain organic bread, by all means enjoy that. I also buy Vermont Bread Company organic sandwich breads and Ezekiel English muffins that come in the freezer section at my supermarket. Here’s a secret tip: Sometimes these breads don’t taste quite like what we are used to, and there is one thing that changes that instantly—a pinch of salt! We also eat a lot of whole wheat tortillas (to make quesadillas, tacos, huevos rancheros…yum!) My favorite brand is Maria and Ricardo’s. Whole wheat pita bread is good, too, and makes a great base for quick pizzas! Lundberg makes a great organic brown rice. But I can’t always find it in my supermarket, so I’ve also used another brand, Village Harvest. You’ll need to experiment with some of your favorite recipes to balance out the flavor properly, but it’s nothing a little extra seasoning (or butter) can’t fix. If your family members are hungry, they’ll eat it, and before long, the white stuff will taste weird and slimy. REALLY, it will!!!! The best flour (available at my local Wegmans!) is King Arthur White Whole Wheat. I don’t exactly know what they do to it, but it is real whole wheat flour without the heavy, musty graininess. I use it in everything. I also use the Rodale Institute Organic Whole Wheat Pastry Flour, which is totally delicious—and local, too! My favorite crackers are still the ones I make myself. Truth is, we are not big cracker eaters. Actually, we mostly eat pretzels, and the brand that makes a good whole grain one is Unique Splits Sprouted Whole Grain: Yum! Also, anything by Nature’s Path tastes great. They are one of my favorite brands—especially for its cereals and cereal bars, most of which are filled with whole grain goodness! Look, I haven’t banished white stuff from my house forever…that’s not going to solve anything. I still keep a bag of white flour in my fridge to make things like homemade gravy and fried chicken and birthday cakes, which only happens every so often. But once you can recognize that burning craving feeling for what it is (white stuff withdrawal) and not what it isn’t (it’s not hunger! ), this whole grain stuff will taste really, really awesome! Good luck! And let me know if you find any other brands I should know about! I’m with you 100%. Try buying a few pounds of organic whole wheat pasta from this local Denver artisan pasta maker – Pappardelle’s Pasta: http://www.pappardellesonline.com . Try the whole wheat mafaldine or their whole wheat lime chipotle mafaldine. I also love their new line lasagna noodles. Although dried, their products taste like fresh pasta. Ditto to all the brands above. There are others, but I have not tried them thus far. About 4 years ago, I accidentally bought KA White Whole Wheat Flour by mistake, but went ahead with using it in an oatmeal cookie recipe I was tinkering with. What developed was the most insanely delicious cookie that I now make for my catering company. It imparts the most delicately nutty flavor, and causes the texture to be outside-crisp, inside meltingly tender. LOVE this product, as well as many of the others! When I tweeked my low carb diet many years ago my mom started saying I was on a “nothing white” diet. I feel best – by far – when I follow this plan! However there weren’t many easily available options to subsitute whole grains so I just left out that whole food group! Needless to say, that wasn’t much fun and I totally fell into the craving rut occasionally. I’ve tried using whole grain flour a few times with little success but I’ll try your suggestions now. Using brown rice has been an easy switch, tho, with lots of good options on store shelves! Thanks for your list! I know just what I want to try first! Your posts are very helpful, and enjoyable, Maria, Thanks! 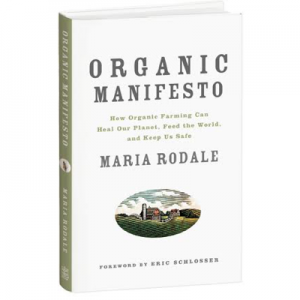 Also, Rodale does such an awesome service to our society in so many ways! You should also try Luigi Vitelli organic whole wheat pasta available in various supermarkets and health food stores. It’s so toothy an delicious! My family and I also abide by the “eat brown” diet, and although my husband is not a complete convert like my two young girls and I, we are slowly making headway with him! We find whole grains and whole wheat products to just have so much more flavor and heartiness and complexity than white flour products. I am very interested in changing my family’s diet to “white free”, but in order to change everything in my cupboard, would be a giant expense that I am not able to afford at this time. If there is a easier way to change over, what would it be? example: flour, then rice, then pasta? or is there something mor important to start with? I keep only whole grain products in my house. My 17 yo complains and buys his own food much of the time now after being raised on whole grain. He eats horribly and does not feel well much of the time. When he gets tired of it, he may finally give healthy eating a try again. This is his rebellion choice and it could be much worse. I love the Bionaturae products too, all of them, not just their pastas. I use Bob’s Red Mill Organic Fours, White Whole Wheat for yeast breads and WW Pastry for baking. They have good flavor and are finely ground. I stopped buying bread a couple of years ago and make my own. I let the bread machine knead it, and then shape and bake it myself. Saves time and I know every ingredient is organic and wholesome. The White WW makes good pizza crust and rolls too. My homemade bread products are the only things my 17 yo eats without complaining that they are WW. We have been eating the Garden of Eatin’ Organic Whole Wheat Tortillas for years and love them, as well as their Whole Wheat Pita. Make a slow progression if you are switching over. Brown rice is a good start if you eat a lot of rice. If you make your own bread, make a 50/50 loaf and see how it goes, then slowly increase the percentage of whole grain. Use whole oat flour for a small part for a nice sweet touch and less whole wheaty-ness. 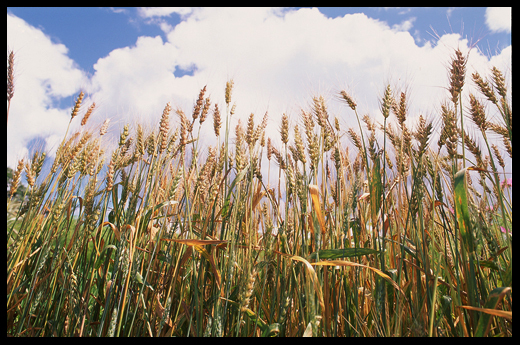 White wheat has a more mild flavor than a red wheat (most common in whole wheat products) and might go over more easily. For pasta, try a different shape in whole wheat than you normally serve. This brings a bit of fun to trying something new, but do not tell them it is new pasta, just a different shape. My youngest (12) says different shapes taste different, even if I say they are all made from the same dough. 🙂 He loves white flour penne, which I refuse to buy, but then I bought Tinkyada Brown Rice penne and now he has a new favorite. Just keep trying and they will eventually be won over. Sorry for the long post. I guess I feel chatty today. VIP: Make sure the wheat is certified organic, since GMO has one of their top products as wheat, corn, soy and one or two other top GMO products! Thanks for sharing our product with your readers! could you give me some breakfast ideas? 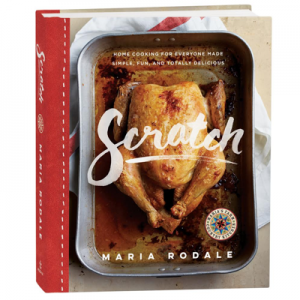 Do you have recipes? I lost my thyroid to cancer (hypo) and could not lose weight. Even had lapband–to no avail. I lost 33 pounds on “no white” and then my endocrinologist said=I was losing too fast and should stop for a while. Now I can’t seem to get back to the diet. That may be because I have maintained the lost weight for three years and forget the rules of “no white”. I drink a lot of 0% milk (farmland is delicious) and a lot of yogurt. I am 78 and many people my age break bones. My bone density test kept improving. My favorite breadfast if the bacon in a muffin pan filled with scrambled egg and cheese. I sure would like some more ideas. and perhaps a review of the allowed and not allowed foods on the no white diet. It’s the only thing that works for me with no thyroid. one more comment–I use Hartland sweeteners–in bag for baking or in packets. I get it at Netrition, Inc. on the internet. It is twice the price anywhere else.